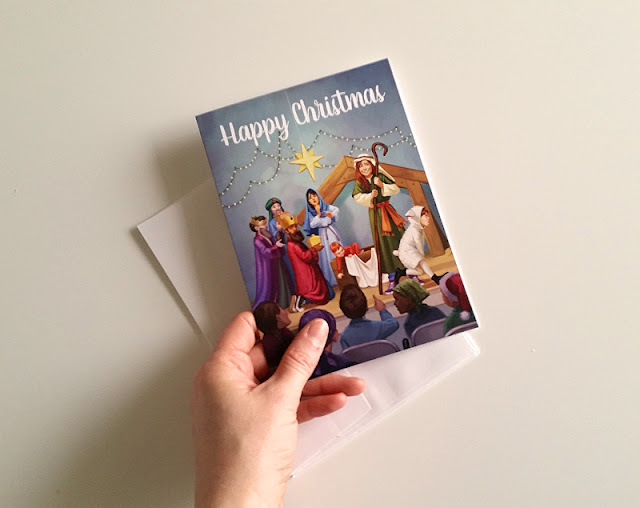 Every year I send out Christmas cards to my agent and some of my long-time clients. This year I re-used an illustration that I did for Brio magazine. 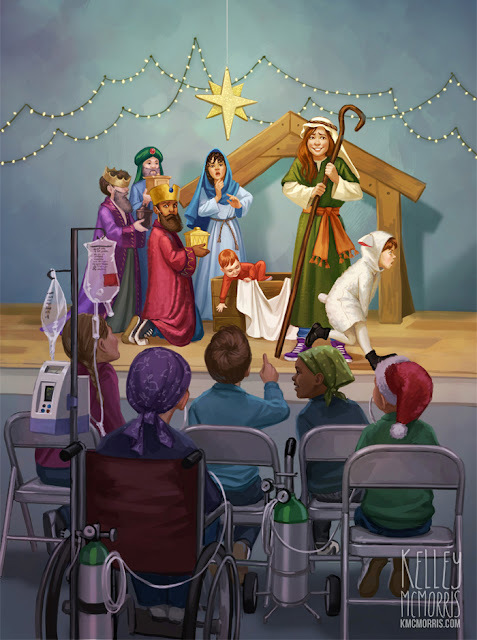 In the original story, a bunch of kids are performing a nativity skit at a local children's hospital, which is why there's a wheelchair and all that medical equipment in the foreground of the scene. For my card I thought that stuff would be confusing, so I removed it. 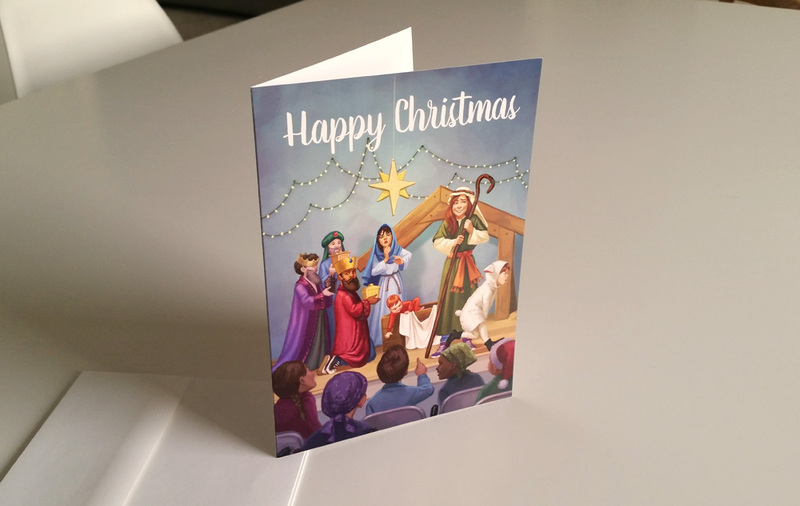 I like to get my cards printed at Zazzle. The print quality and color accuracy is excellent, and the glossy cardstock is nice and thick. The prices are also reasonable considering that there's no minimum order. (I always place my order during Black Friday.) They do print a Zazzle logo on the back of the card, which doesn't bother me but I know that some artists might not want to confuse their branding. Merry Christmas or whatever holidays you celebrate this season, blog readers. I am thankful for each and every one of you. I really appreciate the encouraging comments and emails that you send to me. It's been a struggle to keep this blog updated this year, not because of a lack of things to write about, but lack of time to write about them! I have some really cool projects to show you next year so I hope to see you again in 2019. Pleased to hear that you're keeping busy. Thanks for sharing during this busy time of year. Kelley thank you for this blog and merry Christmas to you and your family.